Amsterdam, Netherlands - October 16, 2018 – Universal Avionics (UA) announces completion of certification testing with Authorized Dealer, Heli-One, for the company's Flight Management System (FMS) Transition to Hover feature. Testing occurred in Stavanger, Norway with a law enforcement AS332L/L1 Super Puma helicopter modernization program. Certification is now imminent. The new UA FMS feature allows a hands-free operation for the crew, allowing them to focus on other mission critical tactics. The pilot-friendly interface provides for an automatic approach based on a pilot Mark-on-Target activation. When activated, the FMS computes and provides coupled guidance downwind, performs an automatic course reversal, and communicates with the CDV-155 AFCS to trigger the descent and deceleration to achieve a hover 100 meters downwind of the target. At that point, the helicopter enters an automatic hover at the pilot-selected altitude. "The Transition to Hover feature is an important addition to the FMS/Multi-Missions Management System (MMMS) for SAR capabilities," said Grady Dees, UA Director of Technical Sales. "The UA UNS-1Fw MMMS provides the helicopter with multiple pre-programmed search patterns," he added. 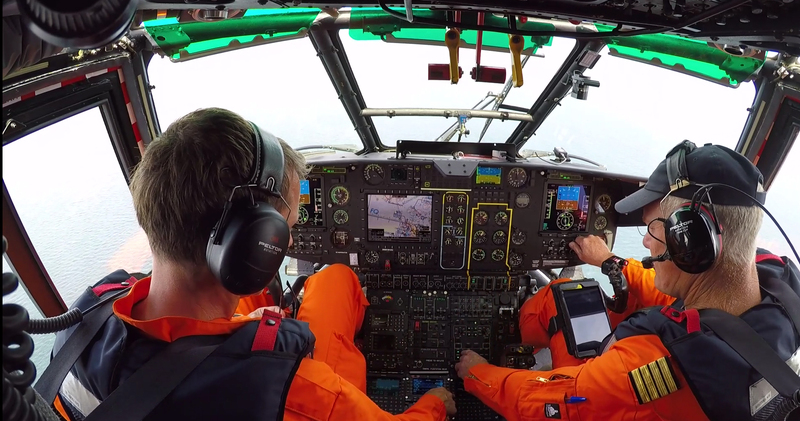 "It's a must-have feature for any AS332L/L1 crew engaged in overwater SAR operations. When, during a search, the crew spots survivors in the water, the automatic Transition to Hover allows for a stabilized and precise pattern to approach the survivors for rescue." "The Transition to Hover feature is a valuable tool for crews and can heavily benefit search and rescue missions," said Tor Baustad, Heli-One Senior Manager, Design Engineering Heli-One. "This solution was developed by Universal Avionics as they continue to enhance their Flight Management Systems, adding great mission value for operators. We are pleased to collaborate with them and to work with our customers to bring these solutions to operational capability."